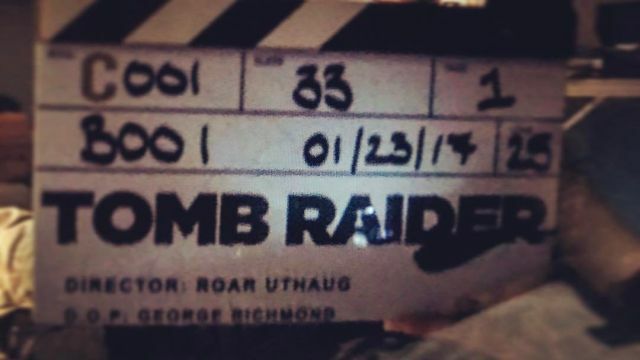 New Tomb Raider Movie Filming Has Begun! Production Officially Begins on the New Tomb Raider Movie! Director Roar Uthaugh (The Wave) has taken to Instagram to confirm that the new Tomb Raider movie has officially begun production! Check out the photo below! Academy Award winner Alicia Vikander (The Danish Girl, Ex Machina) is set to play the titular Lara Croft in the video game adaptation, along with Emmy-nominated actor Walton Goggins (Justified, The Hateful Eight) as the main villain and Into the Badlands star Daniel Wu as a ship captain helping Lara Croft find her father. Uthaug will direct the film, which has a script by Transformers: The Last Knight scribe Geneva Robertson-Dworet.